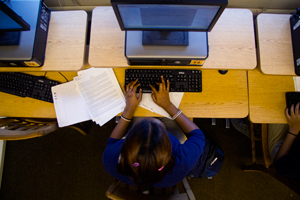 The I-News Network, a Colorado-based news consortium, and one of its partners, the nonprofit Education News Colorado, spent 10 months investigating what’s happening with the thousands of Colorado K-12 students who try an online school each year. • Half the online students leave within a year. When they do, they’re often further behind academically than when they started. 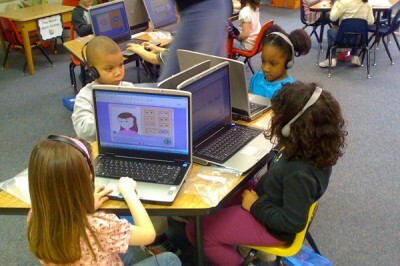 • Online schools produce three times as many dropouts as they do graduates. One of every eight online students drops out of school permanently – a rate four times the state average. • The churn of students in and out of online schools is putting pressure on brick-and-mortar schools, which must find money in their budgets to educate students who come from online schools mid-year. While some measures for at-risk students were not available, the I-News/EdNews analysis shows that most online school students do not appear to be at-risk students. Only about 120 students of the more than 10,000 entering online programs last year were identified as previous dropouts returning to school, and only 290 entered online schools after spending the prior year in an alternative school for troubled youth. In addition, most are not struggling academically when they leave their traditional schools. Among the 2,400 online students who had taken a state standardized reading test in a brick-and-motor school the year before, the analysis showed that more than half had scored proficient or better. The analysis also looked at dropouts – those students who leave school permanently. In Colorado’s online schools, dropouts outnumber graduates by three to one. That’s the reverse of the statewide average, where graduates outnumber dropouts by three to one. In Colorado, online schools grew seven times faster than conventional schools last year. Online schools were popular in small, rural districts, which typically get higher per-pupil funding. That changed in 2007 and online students are now funded at a flat rate of $6,228, slightly less than average per-pupil funding statewide. Schools get that set amount of per-pupil funding based on annual student counts taken at the beginning of October. This year, Colorado expects to spend $100 million in state funds for some 18,000 students to attend online schools. In each of the past three years, however, half the online students have left their schools within a year. State documents make it difficult to pinpoint exactly when students leave a school. However, a comparison of the October student count data and districts’ end-of-year data, shows the number of mid-year transfers was at least 1,000 students a year – and perhaps many more. That means at least $6 million annually went to online schools for students who weren’t there all year. The I-News/EdNews analysis looked at test scores for online students who’d previously been in traditional brick-and-mortar schools, and found that scores dropped once students entered online schools. For example, 59 percent had scored proficient or above in reading while in a brick-and-motor school. But after a year in online school, only 51 percent achieved that score. Some in the state say online schools must inform students better – during recruitment – about their responsibilities and the school’s expectations in an online school. Some state officials are looking to create a task force to deal with the problems of online school dropout rates. In the meantime, some Colorado school districts – including both Florence and St. Vrain – have chosen their own way to combat losses to the online schools: They’re starting their own online programs.